Thank you Sarah Chain and the York Daily Record for the interview. The print edition is scheduled for next Sunday, June 23rd. 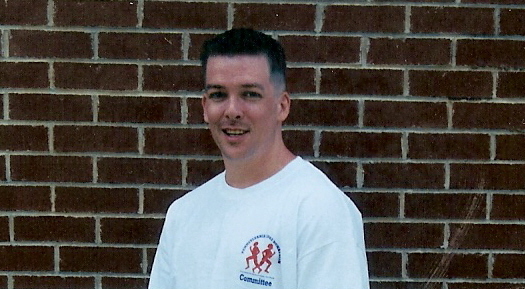 On August 17th I visited Corey in prison to talk to him about his life and life sentence. Corey surprised me with that statement. I didn’t have an expectation of what his answer would be and his honesty and sincerity caught me with my guard down. “Tell me how you and your brother ended up in a man’s house with a gun.” I asked. Corey let out a long, deflating breath and took me back to his life at age ten. Corey’s family passed dysfunctional life like an Olympic sprinter. As far back as he could remember, the household was chaotic and negative. He recalls his mother being suicidal and often having to talk her down from taking her life. He has vivid memories of her telling him and his little brother Tracey she couldn’t take life anymore and locking herself in the bathroom with a butter knife. His memory of the butter knife was eye-opening. Genuine suicide attempts usually don’t include butter knives. He also recalls his dad swallowing an entire bottle of aspirin in his suicide attempt. Corey called his aunt who was a nurse to come help him. Both his parents survived the attempts but permanently scarred him and his brother. Tracey also attempted suicide but was not successful. The emotional trauma didn’t stop at suicide attempts. Their mother was having an affair and one day their father told them to get in the vehicle, they were going to hunt down their mom. Corey watched his dad load his rifle and carry it out to the truck. As his father drove to the house where he suspected his wife to be cheating, Corey knew his father had intentions of shooting his mother and her boyfriend. To his relief, neither was at the house and the rifle was not put to use. He had no doubts that had they been at the house, his father would have shot them dead. In his early teens Corey began getting in minor trouble with the law. He felt everyone was against him and he was bitter at the hand life had dealt him. He wanted to be emancipated from his parents who were no longer together. He compared his plans of freedom to making a house of cards. Every card held the next card up with invisible strings of hope. When one card fell out of place, it pulled down the entire house to its foundation. His plan was to be emancipated, get an apartment with his best friend Dominic who was two years older, finish high school and follow in Dominic’s steps by starting college. His house of cards did not stand for long. Corey’s mom decided to fight his emancipation infuriating an already angry, young man. Next his girlfriend was grounded by her father and they were not permitted to see each other after school. Shortly after his girlfriend’s grounding, his best friend’s father had a massive heart attack. Dominic was leaving for three weeks to attend to his family’s needs in this time of loss. Corey felt the only two supportive people were leaving him. At this point Corey and Tracey had been placed in juvenile support homes. He said not so much because they were in trouble but because they had no parent role models to ensure their care and safety. They lived in separate homes, a rule of the housing program. Determined to make it through this program and become emancipated, he put his best foot forward and began to excel. Then there was a minor set-back for an infraction of the rules and he was told an additional 30 days would be added to his program. Corey and Tracey started hunting for a car to steal. Luck was not on their side as everyone seemed to be away from home. They broke into a house but found nothing that interested them. The second house they broke into they discovered a stash of guns. Corey took two handguns and they left. They saw a man in a neighboring home arrive in his station wagon and enter his home. Tracey didn’t drive more than a mile when his nerves caused him to shake uncontrollably. He pulled over and they switched seats. Corey decided to drive to a nearby state park to toss the guns. There were side roads that led to pavilions for family picnics. Each one he turned down was occupied so he gave up ditching the guns there. He was driving on a main road of the park when they passed a state trooper. As they crossed paths the trooper raised his hand and pointed at the car. Corey realized they had just been made in the stolen car and decided to make an escape. The dirt road kicked up thick dust as he drove over 110 mph to make a get-away. He knew the roads well and made a hard turn onto a side road in hopes to officer wouldn’t be able to tell he turned. He was correct and the officer continued straight ahead not realizing the station wagon was no longer in front of him. Corey ran through the woods and came to a barn that was half burned down. He hid trying to catch his breath and thoughts. A barricade was set up to contain the state park but Corey had already passed through the perimeter. He could hear the police radios and helicopters overhead and considered just running further into the woods, abandoning the barn. “I didn’t want to be mauled by dogs and was scared so I decided to surrender. I walked out of the barn and saw a young cop about 20 years-old. He must have recently graduated from the academy and was still green. I went towards him and he began waving me off and I realized he didn’t know who I was. I yelled out to him ‘It’s me!’ and he waved me off again. I yelled ‘It’s me you’re looking for!’ and I was close enough then to see the light bulb go off in his head. Corey and Tracey were represented by court appointed lawyers. Their relatives did not have money to hire legal representation for them. They pleaded guilty in hopes of a judge giving some leniency. They were tried as adults at the ages of 14 and 16. Tracey served his years and was paroled. Corey was sentenced to life with no chance of parole. Other than the brown jumpsuit that all the prisoners must wear when having a visitor, Corey doesn’t look the part. At 41 years in age, he is in excellent physical shape, well-spoken and clearly intelligent. He offers no excuses for his actions as a teen other than stupidity in thinking the world owed him. He knows now what he didn’t as a child. No one owed him anything and you get out of life what you put into it. This is an opportunity to improve their life before being released and they should be grateful. Sometimes they listen to Corey as he has been locked up much longer then they have, with others it falls on deaf ears. There isn’t a day that goes by that Corey doesn’t think of his biggest regret, taking a man’s life for his car. He can’t justify his actions in any way and knows the hurt he brought to the victim’s family and his own family as well. All this pain and sadness is what makes answering the key question of the parole board so difficult. It is Corey’s honest answer of not deserving parole that makes me believe he is truly deserving of a second chance after serving 25 years of his life behind bars. He admitted his guilt at 16 and knows he is still guilty of his crime. He has prayed for forgiveness and has faith that someday God will see fit to remove him from prison so he can attend ministerial college and share the glory of God’s word, the same words that saved his life and keeps him honest with himself. A hot topic in York, PA is the sentencing of juvenile killers. Recent cases involve Zachary Witman who was 15 when he stabbed his 13-year-old brother to death outside their home in 2003. Witman was sentenced to life in prison. Another local case involves Jordan Wallick, 17 who gunned down James Wallmuth II in York city two years ago. Wallick was sentenced to life in prison. The talk is: should juvenile killers get life sentences with no chance of parole. Should the actions of a teenagers be held against them for the rest of their lives? I’ve become pen pals with a prisoner who shot someone when he was 16. In 1986 Corey Hollinger shot a man during a home invasion and has been paying for his crime ever since. I’ve never met Corey but did research about him and his brother’s case in college. Writing to Corey on a whim really opened my eyes. He isn’t anything like the stereotypical life sentence prisoner. It seems to me (and many others) that two lives have been wasted. The man who died and the man who will spend his life in prison for being an idiot at 16. Two more lives wasted….the Witman brothers. One is dead and the other will die in prison for snapping on his little brother. If only there were a rewind button. I don’t think any of these three juvenile killers really meant to take a life. Even Wallick most likely didn’t have intentions of shooting Wallmuth. Pennsylvania is re-evaluating the “life in prison with no chance of parole sentence to juvenile.” What will happen to those who were sentenced years ago before this was determined to be unconstitutional? Each case will have to be evaluated individually and there are 2500 prisoners in Pennsylvania sentenced to life without parole. Corey and Zach should be at the top of the list. Now, I was assigned to read a story about a man serving out his life sentence in prison in Pennsylvania. I was curious about his life in prison. It started when he was 16 and now he is 41. https://girlboxer1970.com/2012/03/14/life-sentence-at-16/ I received an A+ on my review of the original article about this crime. So, I typed two paragraphs to Corey Hollinger and I received six hand-written pages in return. He doesn’t seem like a horrible person. Actually, he seems like a pretty decent guy. I could scan his letters and let you all read them but, I can sum them up much easier. He works as a teacher’s aide teaching other prisoners English to earn their GED. He enjoys almost all types of music. He found God. He believes he will get the chance of parole someday. He works out and is in very good shape. When he is paroled he wants to finish his college degree (he started college while in prison) and be an ordained minister. At least he has hope. I don’t see Pennsylvania every letting Corey out of prison, but that’s just my opinion. Who am I to rain on his future parade? So I’m writing to a murderer…I never would have guessed. Corey Hollinger was convicted in May 1987 for the murder of Albert Swalm in Lebanon Township, PA. Hollinger was 16 and his brother Tracy was 14 when a home burglary turned to murder. Both pleaded guilty to murder and were sentenced as adults. Corey received a life sentence with no chance of parole for first degree murder. Tracy was sentenced 12 to 60 for third-degree murder but has the possibility of parole. The Hollinger boys had a rough life growing up and a history of committing crimes at a young age. While in prison, Corey survived the Camp Hill prison riots and found faith in God to overcome his drug addiction in 1990. Corey has had time to reflect on his actions in the past. He takes responsibility for his actions, but he believes he has been punished for the crime he committed as a child and could be a productive part of society if he were released from this life sentence. Corey does not feel entitled to the possibility of parole but believes that youth sentenced to life does not give them the chance to ever turn their life around. After reading this article, I Googled Corey Hollinger and found a picture of him and his prison address. I’ve written him a letter and if he responds, I will take the time to know him because his past is behind him. He still seems to have a bright out-look on life knowing he most likely will never leave the prison complex and that is remarkable in itself. I hope his faith in God remains strong.